SHR stands for Super Hair Removal. 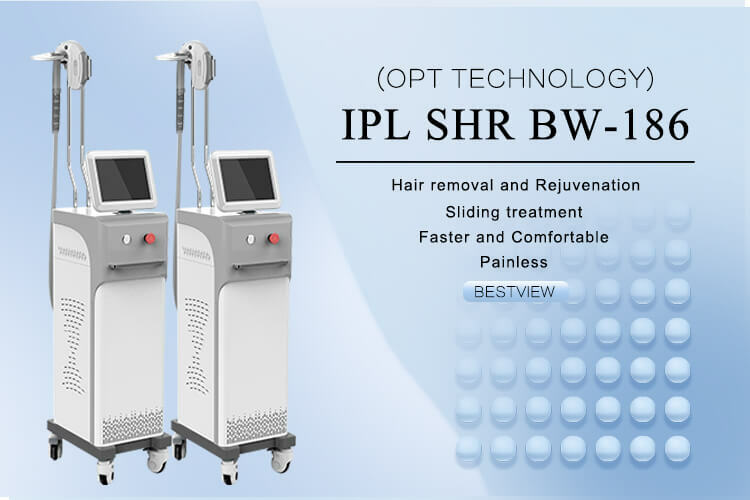 Adopts Optimal Pulse Technology (OPT), it is the most advanced adoption of pulsed light for hair removal and skin rejuvenation (the most recent advancements in IPL technology). SHR and OPT is the method for hair removal that eliminates unwanted hair in painless, non-invasive with no side effects procedure. quiting superior as far as its ability to deliver lower energy with more efficiency. The working principle is heating the dermis to a target temperature gradually, the target temperature will damage the hair follicles and prevent hair re-growth,meanwhile avoiding injury to the surrounding tissue. 2. High power energy: 3000W. 3. Five filters: 480nm /530nm /590nm /640nm /690nm. 4. The lamp is from Germany, the lifetime is 400.000 shots. 5. 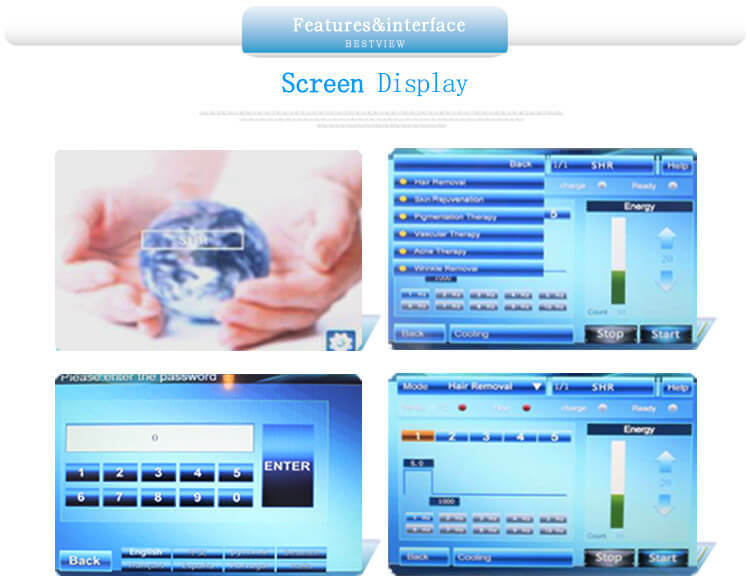 The maximum frequency is 10 HZ, the treatment speed can reach 10 shots each second. 6. 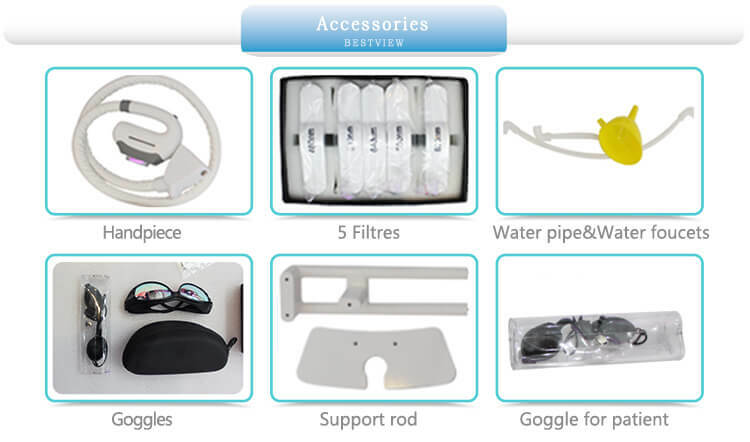 Best cooling system:water+wind+semiconductor+sapphire, thus ensure that the treatment is totally painless. 7. Six functions together:hair removal+skin rejuvenation+vascular removal+wrinkle removal+acne removal+pigmentation removal. 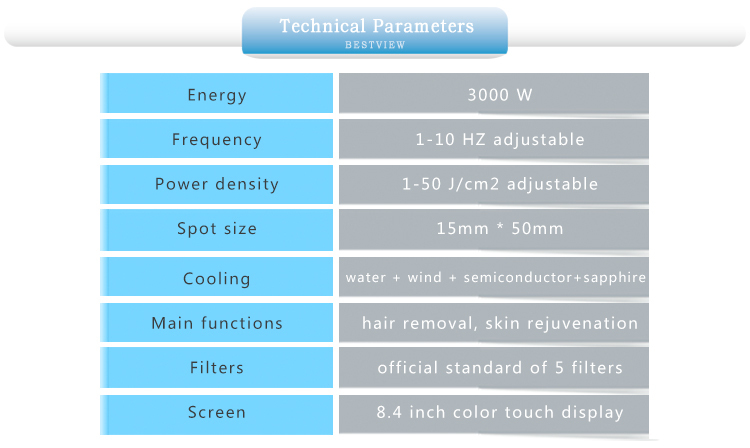 More information about SHR hair removal machine, you can clinck here.